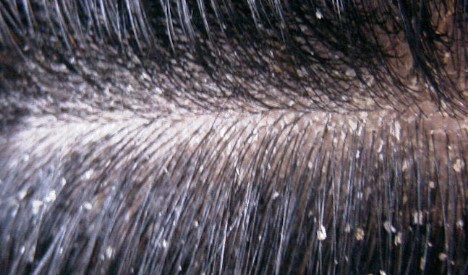 Dry Scalp is a very common problem and it can occur because of many reasons. One of the major reason is in weather and hair product. It can lead to itching, dandruff and hair fall. There are many products on the market which claim to resolve this issue but they contain a chemical which can worsen the condition. Natural home remedies are the best treatment to get rid of dry and itchy scalp. What are the Causes for Dry Scalp? Dry scalp is not a serious health but it is very annoying and disturbing. It can cause itching and sore scalp. There are many natural home remedies which can help you to get rid of this problem very fast. Apple cider vinegar is used for many home remedies and dry scalp is no exception. It has anti-bacterial and antifungal properties which help to keep your hair dandruff free and moist. It also helps to reduce scalp itching due to anti-inflammatory properties. Take half cup of water and mix a half teaspoon of apple cider vinegar. Apply this mixture to your hair and leave it for 15 minutes. Rinse it off with water and mild shampoo. Apple cider vinegar also a good substitute for hair conditioner and it wale make your hair smooth and shiny. Banana and avocado homemade remedy help to get rid of the dry scalp at home. It has anti-inflammatory properties which help to keep your hair moist and remove dandruff. Avocado is full of antioxidant properties which help to make your hair root strong and also help with your hair growth. Make a paste of 2 banana and one avocado by mashing them. Apply this paste on your hairs and leave it for 30 minutes. Wash your hair with cold water and mild shampoo. Apply this remedy twice in a week to get the fast result. Tea tree oil is a wonderful home remedy to keep your scalp moist and remove dandruff. It has antibacterial, antifungal and anti-inflammatory properties which help to cure dry scalp and remove flakes. Take 3 tablespoons of tea tree oil and mix with one tablespoon of olive oil or vegetable oil. Apply this mixture before going to bed and leave it for overnight. Wash your hair with mild shampoo and cold water in the morning. Oil massage is one of the best ways to cure your dry scalp. It helps to improve your blood circulation and nourish hairs root. It also helps to increase hair growth and make them stronger. Take 3-4 tablespoons of coconut oil and warm a bit. Apply this warm oil on your scalp properly before going to bed to cure dry scalp overnight. Wash your hairs in the morning with mild shampoo. Use this remedy until you get rid of dry scalp. A very effective home remedy for dry scalp treatment. It has soothing effects due to its anti-inflammatory properties. It works as natural hair conditioner and moisturizer. 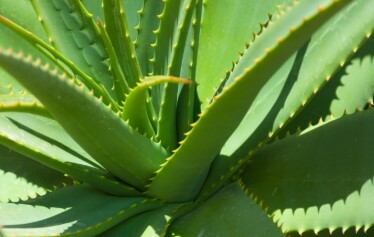 Aloe vera is a good remedy to reduce itching caused by dry scalp or dandruff. You can extract fresh aloe vera gel from leaves or you can get from the market. Apply this gel on your hairs and leave it for 15-20 minutes. Rinse your hairs with a mild shampoo. Repeat this remedy once or twice in a week. Honey is a good home remedy for dry scalp due to its antibacterial, anti-fungal and anti-inflammatory properties which help to cure itching and soothe soreness caused by dry scalp. It also makes your hair stronger and shiny. Take 4 teaspoon of honey and 2 teaspoons of warm water and mix them well. Apply this mixture on your scalp for 5 minutes then wash your hairs with mild shampoo or herbal shampoo. You can also mix honey with olive oil and apply on your scalp. Take half cup of olive oil and two teaspoons of honey. Leave it for 15 minutes on your scalp and then wash it off with a mild shampoo. Oatmeal is a very effective remedy for dry scalp and itching. It contains vitamin E which keep your scalp moist and remove dandruff. Take one tablespoon of oatmeal and mix with half cup of water. Apply this oatmeal paste on your scalp and leave it for half an hour. Wash your hair with cold water and mild shampoo. Yogurt not only tastes good but also help to get rid of dry scalp. It has soothing effects on itching caused by dry scalp. Yogurt also contains protein which helps to make your hair stronger and increase their growth. Mix two tablespoon of yogurt in one egg yolk. Apply this mixture on your scalp to remove dry scalp. Leave it for 20 minutes and then wash it off with a mild shampoo. Lemon contains antibacterial and anti-fungal properties which prevent yeast infection. It also helps to keep scalp moist and remove flakes. Take one tablespoon of lemon juice and two tablespoons of honey and mix them well. Apply this mixture on your scalp and leave it for 10-15 minutes. Wash your hair with mild shampoo and cold water. You can also mix lemon juice with coconut oil and apply on your hairs. Leave it for 15 minutes and then wash it off with regular shampoo. Onion contains a high amount of sulfur which helps to cure dryness on the scalp by preventing dandruff. It is also a very effective home remedy for hair growth. Onion also prevents premature gray hairs. Take ¼ cup of onion juice and one tablespoon of honey. Apply this mixture on your scalp and leave it off for 30 minutes. Wash it off with cold water and mild shampoo. Repeat this remedy once in a week. Avoid using too much shampoo. Always use mild or herbal shampoo to wash your hairs. Do not use the hair dryer too much. Take hair spa one in a month if you have dry scalp problem. Eat fruits which contain proteins and vitamin E.
Dry scalp is very annoying and irritating problem, but it can be cured overnight. You can cure dry scalp by just changing your hair products. Home remedies are also a great option to cure dry scalp but if they don’t work then you can visit a doctor for proper treatment. Leave your comment and suggestion in the comment box.